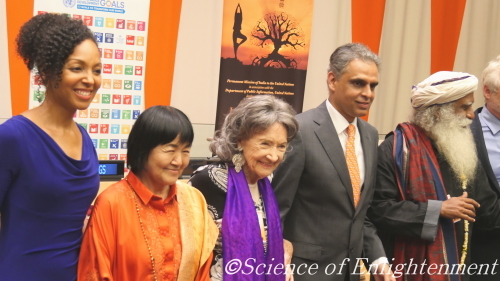 Yogmata Keiko Aikawa was invited as the special guest to the “Yoga for the Achievement of Sustainable Development Goals”; the associated event to the International Yoga Day on 20th June 2016. 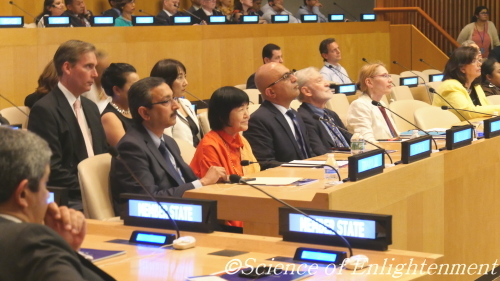 She made a speech for world peace to representatives from many countries. 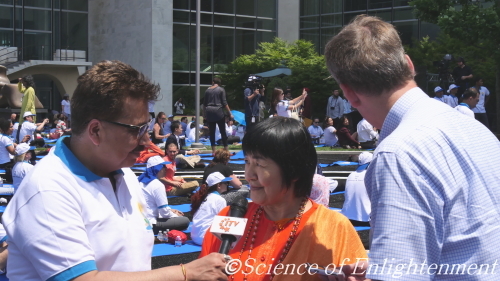 Also, she performed cutting the tape at a yoga event and gave a blessing to many people. TBS Radio Regular Program "Keiko Aikawa's Message for Happiness" Now On Air!